The word garnet is derived from the Latin word granatus meaning “grain” or “seed”. Legend says that Noah hung a large garnet in the ark for illumination. It is believed that the garnet gives the wearer guidance in the night and protection from nightmares. According to the ancient Egyptians, it is an anecdote for snakes bites and food poisoning. Garnet jewelry has been dated all the way back to the bronze age. Anyone who is subject to depression should carry a garnet with them as it encourages joy, willpower and hope while its beautiful fiery red color drives away tiredness and stimulates the imagination. Make no mistake. Pink Tourmaline is honored to be October’s birthstone. But with all her beauty, grace, and style, she has far greater ambitions. No, she doesn’t want to rule the world. She does want to find her way into every woman’s jewelry chest. And her savvy plan begins by playing to her strength — incredible colors ranging from light purplish or peachy pink to richer fuchsia and magenta. She offers a tempting range of feminine shades that capture subtlety, sophistication, and high fashion with broad appeal to many women’s styles. Her bold ambition requires your cooperation. So create a special place for her in your case and introduce her by name. One look and your customers will fall in love with her. The word ruby is derived from the Latin word rebeus meaning “red”. The ruby is among the most highly prized of gems throughout history. It is said that it combines Eros, sensual love, and Agape, spiritual love, and is therefore divine love in crystalized form. Rubies were thought to represent heat and power. Ancient tribes used the gem as bullets for blowguns, and it was said that a pot of water would boil instantly if a ruby was tossed into it. When the crystal is ground into a powder, it is placed on the tongue as used as a cure for indigestion. Ruby is a member of the corundum family. 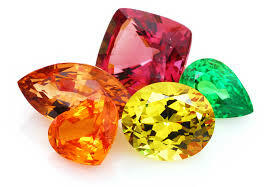 Sapphires and rubies are exactly the same stone, with the only difference being in the color. Ruby is only red and ranges in hue from orangey red to a purplish red. Large rubies are very rare and very beautiful. 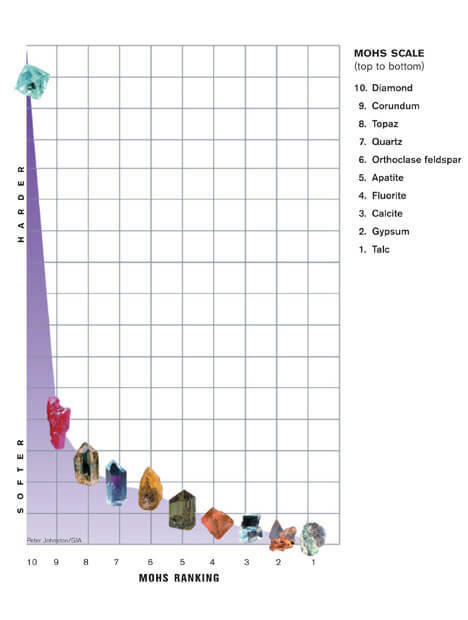 They are a 9 on the Moh’s Hardness Scale and are heavier than a diamond. The most beautiful rubies are thought to be from Burma, but they can also be found in India, Sri Lanka, Australia, Kenya, Tanzania, Afghanistan and Pakistan. It has been said that ruby’s red glow comes from an internal flame that cannot be extinguished, making a gift of this stone a symbol of everlasting love. It is said if it worn on the left hand, that the stone will bring good fortune to its wearer. Rubies are the wedding anniversary stone for the 40th wedding anniversary.